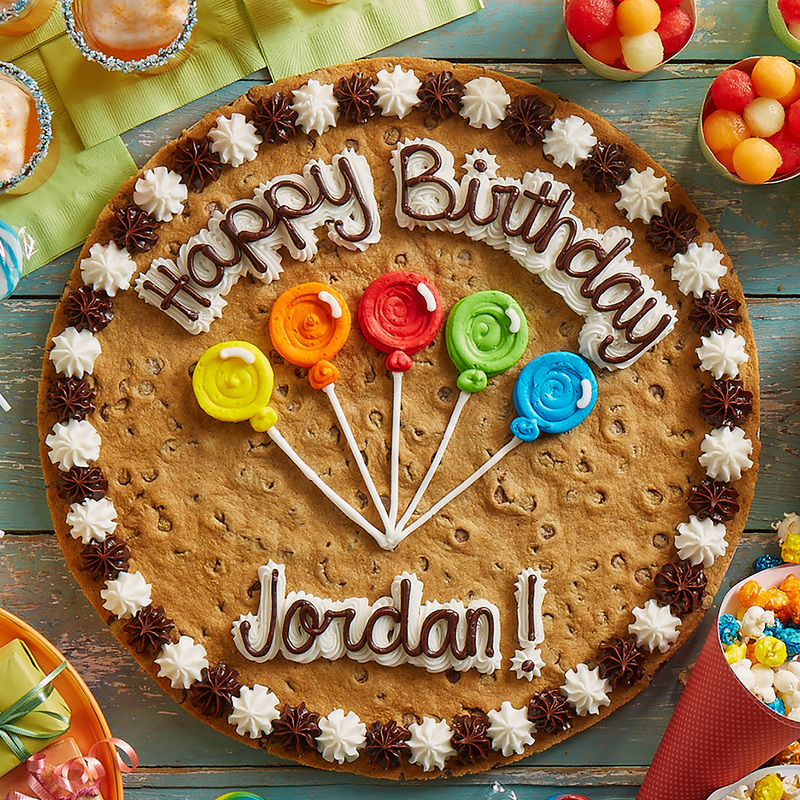 Enjoy a classic Cookie Cake! Ready in 15 minutes when ordered in store; two hours when ordered online. Ready in 15 minutes applies to Original Chocolate Chip 16″ Round Cakes and select designs. In store only.